Whether undergraduate or postgraduate, networking can be really useful. The Careers Centre offers numerous opportunities for practising your networking skills and the Leeds Network provides a useful complimentary online resource which is an exclusive platform for Leeds students and recent graduates to seek insight and advice from Leeds alumni. With more than 750 alumni profiles currently available there are lots to choose from. 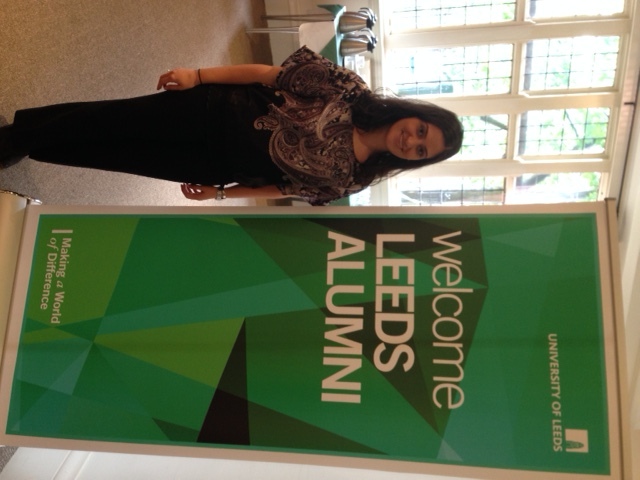 Thanks to the connection you share with the University of Leeds, you already have some common ground with the Leeds Network volunteers. Don’t hesitate. Remember, Leeds Network volunteers were once where you are now; making their first steps in their careers. Contact the individuals whose profiles you find interesting now: There is no need to wait. It’s never too early to start thinking about your career. It’s also never too late to do so. Whether you are in your final year or have even graduated, Leeds Network is available for you. Current students and Leeds graduates of the past five years have access to the network. It’s very easy to use. You can search for alumni who might be of interest in various ways; by choosing sector, course of study, country of residence or simply by keyword. You can then read their career profiles and ask questions on finding work in their profession, the application process they followed to get their job or even applying for jobs at their current employer. It doesn’t even need a new sign up. You can just go to the Leeds for Life site and sign in using your university credentials to access the network. Before sending a question, make sure that you have read their entire profile. The career profile might provide all the advice you need. Only ask questions on subjects the alumnus has indicated they are willing to advise on. For example, some may be more than happy to answer questions on applications whereas others might only wish to discuss about their current employment sector. Start your email by introducing yourself and then ask a couple of questions. You can always ask further follow up questions when they have replied. Make sure you are polite and professional at all times. Do not ask for a job. This is not what Leeds Network is for. And finally, when you get a reply, don’t forget to show your appreciation by thanking them for their time and advice.